Managing the reinforcement for a group of people is one of the major difficulties that we may encounter. Especially if the people in question are 20 kids, 11 years old, with interests and personalities different from each other. For the last two months I’ve been working in a school as a teacher. For the first time, I have the chance to use the marker with a large group — a group with no particular desire to be at school! How can we reinforce them? Some of the kids enjoy candies, some others like beads or extra time for recess. There are (they exist!) students who find study itself reinforcing, but, they are very, very, very rare. Swedes Emelie Johnson Vegh and Eva Bertilsson are Certified Level 3 TAGteachers, authors of the book Agility Right from the Start and work together under the name Carpe Momentum. Emelie studied to be a high school teacher in English and Swedish, and Eva has a degree in education and psychology – but after getting together to work within Carpe Momentum, giving classes, hosting seminars, writing articles and the recently published book Agility Right from the Start, neither has time to pursue a more traditional career in their field. Emelie and Eva came into contact with clicker training at roughly the same time (around 1997), but before knowing each other. They met while competing in agility one hot summer, and found that they both shared a great passion for training and discussing training. After having begun teaching together, they noticed that clicker training made them good animal trainers – in their classes everything was split into small pieces for the dogs and the rate of reinforcement was kept high. But for the human part of the team? As instructors they felt that they wanted to share everything and give all the tools they could to their students, but just cramming their heads full didn’t feel right. How was that setting anybody up for success? Eva spent some time searching the Web, looking for ideas. She came across TAGteach and promptly wrote an email to Theresa McKeon and Beth Wheeler, and that is how the first Primary Certification Seminar came to be hosted in Dingle, Sweden, in 2004. Since then, Emelie and Eva have worked their way to a Level 3, now educating and certifying others in TAGteach in Scandinavia. They’ve written a few articles in Swedish on the subject and in their book Agility Right from the Start, there is a passage briefly introducing TAGteach and many of the exercises come with suggestions of TAG points for the trainer/handler. 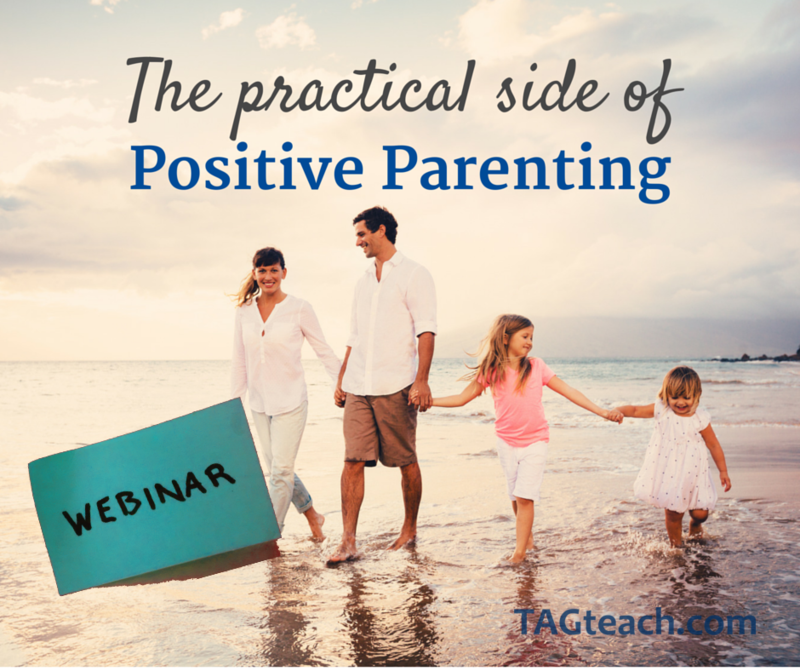 Check out this outstanding webinar and find out how you can apply TAGteach to the practical aspects of parenting. You will learn how to be positive without being permissive and see some real life examples of TAGteach in practice in a busy household.